Brett Loyd throws off the mound Tuesday in Craig. Loyd started the first game for Moffat County, which the Bulldogs lost, 19-0, to Steamboat. The Sailors also took Game 2 of the doubleheader, 16-1. Craig — Playing a home-and-away doubleheader in Craig, Steamboat Springs’ baseball team got back to basics and back into the win column with two comfortable victories against Moffat County, which saw its struggles continue. The Sailors hit and pitched well and played solid defense behind the pitching to pick up two run-rule victories against the Bulldogs, 19-0 and 16-1. They came after four straight losses for the team, while Moffat County dropped its fourth straight game. After a quick top of the first inning, including a diving catch by right fielder Storm Veilleux, Jesse Pugh led off with a double for the Sailors and Billy Clark brought him home with a single. Charley Fitzhugh hit a sacrifice fly to make it 2-0 after an inning. After three more quick at bats for the Bulldogs in the second, Steamboat really took over, stringing hits together to extend the lead. Fitzhugh hit a three-run homer to left field with one out that made it 8-0. Moffat County didn’t do itself any favors in the second, however, making a host of errors, including a couple potential double-play balls that could have stemmed the bleeding. Instead, they gave the Sailors more chances and the Sailors got hits. The score was 13-0 when the second inning ended and Moffat County got its first hit from Mike Bingham, but Steamboat quickly erased the base runner with an inning-ending double play. David Cropper hit a two-run single in the third to make it 16-0, and the Sailors tacked on three more runs by the end of the inning. 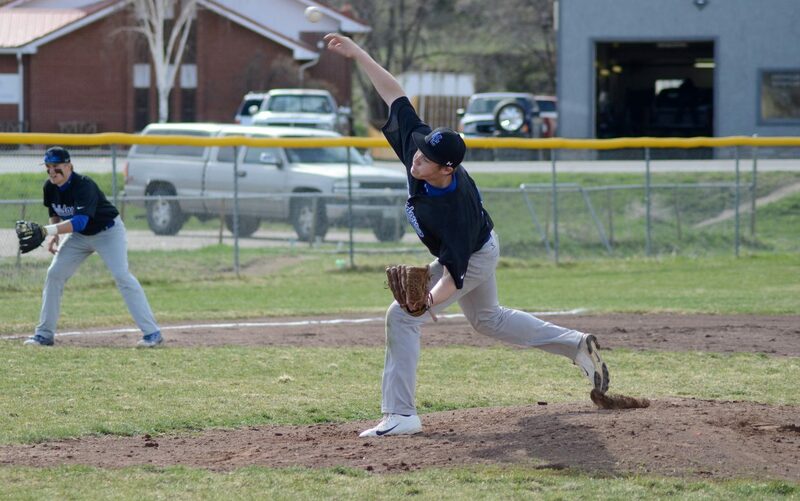 In Game 2, Moffat County turned to Sheldon Greenwood on the mound, but the usually steady senior struggled through the first inning, with multiple wild pitches putting the Bulldogs behind, 5-0. Hugh Turner grounded out to bring Tyler Jenkins home in the bottom of the first for the Bulldogs and Colton Yoast hit a double, showing signs of life for Moffat County’s offense. But that was all the team would score in the game, as Steamboat’s defense made the key plays and pitching kept most of Moffat’s lineup off the base paths. In the third inning, Steamboat broke the game open. The team scored on a couple wild pitches to make it 7-1, then put together hit after hit to take a 12-1 lead. Five of the team’s seven runs came with two outs in the inning. Folley now is searching for answers to get Moffat County back on track and thinks it has to go back to the way the team practices.